Asthma can be triggered by a number of different factors, so in managing it, there are a number of different approaches we’d combine. One cause of asthma is allergies and intolerances either to air borne allergens, or to foods. If your intolerance is to a food or foods, dietary changes can bring about rapid changes. But even if the major offender seems to be air borne allergens, food intolerances may still be involved. The reason for this is the way stressors build up in our systems. If you have only a few stressors, your body may cope without showing any symptoms. But when the total number of stressors becomes more than your body can handle, you start to see the effects. Suppose you were moderately intolerant to potatoes and allergic to pollen. If you don’t have much other stress in your life, your body may be able to cope with eating potatoes, and you may not notice any symptoms. You might even get through pollen season without any overt symptoms. But say you have a string of sleepless nights. Suddenly you start to react to the pollen. The pollen might be the immediate cause, but if you start getting more sleep, the symptoms may subside. Alternatively, if you stop eating potatoes for a while, they may also subside. So with a condition like asthma which is very sensitive to stress, the first step is to remove as many stressors as possible. Some things we have less control over, but we can chose what we eat. 1. Reducing the stress caused by our food intake. This includes investigating food allergies and intolerances, and removing the offending foods from the diet. It can also be beneficial to reduce or remove harmful foods, such as sugar, that cause stress to everybody, even though they may not directly trigger the asthma. 2. Using nutrition to help alleviate the symptoms, or to build up the body so it can cope better. This may include using traditional methods of food preparation to maximize the nutrients in the foods eaten, or using therapeutic herbs and supplements. 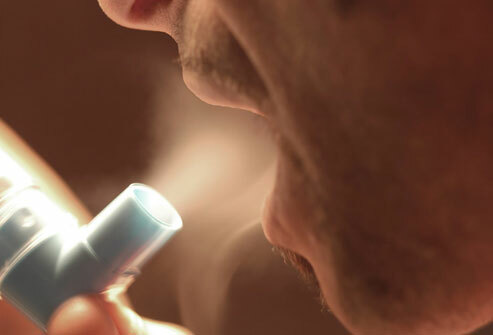 Stress can be a major factor with asthma. Stress of various types can trigger an attack, and once an attack occurs, that in itself is very stressful, causing feelings of fear and anxiety. As Emotional Freedom Technique (EFT) is a great tool for dealing with stress, it’s perfect for helping those with asthma. One of the great things about EFT is that it’s a simple technique you can learn and apply yourself. No special equipment is required, so unlike an inhaler, there’s no worry about being without it when you need it. We’d work together on any major stressors, then you can continue using it yourself. We may also look at other aspects such as Buteyko breathing exercises, and building in more downtime and relaxation. Contact Me to arrange your complimentary initial 10-15 minute consultation, to discuss your needs and how I can help.